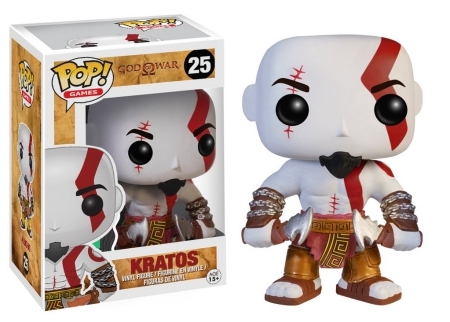 The gods may have abandoned him, but with the Funko Pop God of War figures, we never will! 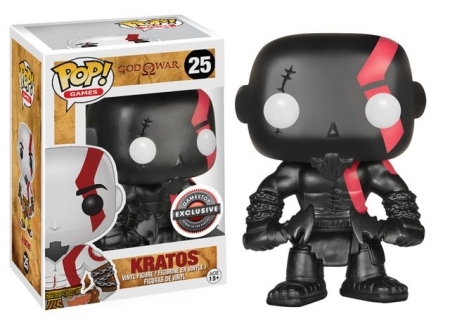 Offering fans a host of options, the Spartan warrior joins the Pop! Games family. The hack-and-slash game God of War brought a new kind of hero to PlayStation consoles in 2005 and has since grown into a multi-media franchise, largely due to the game's hero: Kratos. 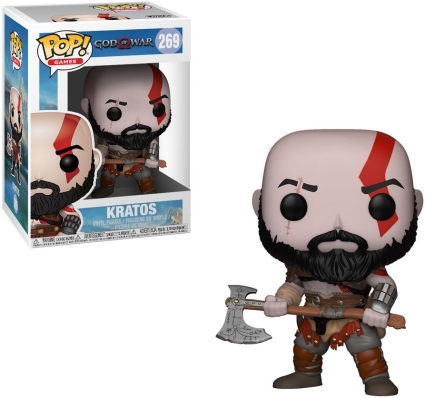 Funko Pop God of War celebrates the Ghost of Sparta with a main figure that showcases the soldier's physique. With red scars and tattoos, Kratos grips two blades that are connected to the chains around his wrists. 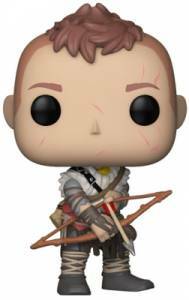 Order God of War Pop Figures on Amazon. 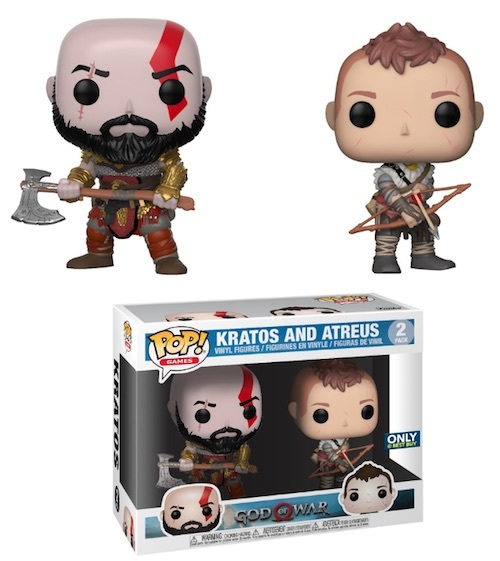 Aside from the primary option, Funko Pop God of War includes exclusives, too. 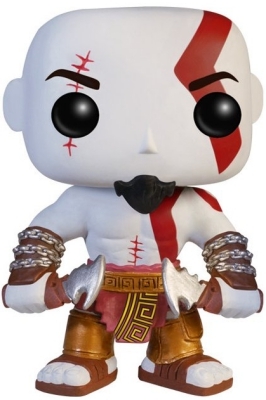 Issued through GameStop, Kratos dons the Fear "skin" from God of War III, which transforms the demigod's appearance to all black except for his bright red tattoo. 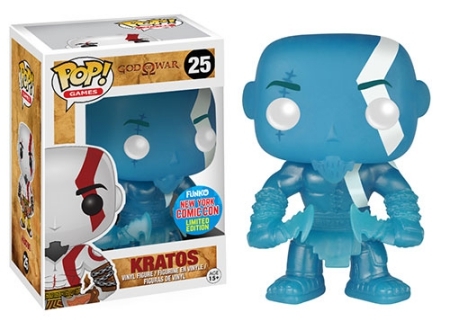 In addition, the 2015 New York Comic Con exclusive (shared with GameStop) displays his "Poseidon's Rage" form. Updating the sculpt for Kratos, the second wave brings a lineup that includes Atreus, his son. The expert archer holds his bow with an arrow loaded and ready. 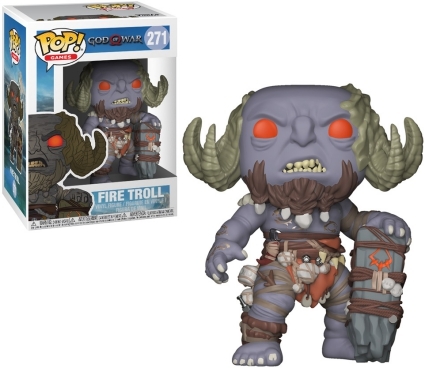 Also in Funko Pop God of War Series 2 is a rather intimidating Fire Troll with red eyes and green horns, along with Draugr, whose appearance is that of living rock, although, much, much more frightening as it seems Kratos' enemy is missing the back of his skull. 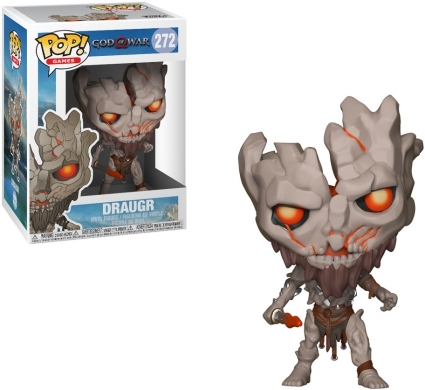 Please leave a comment if you see any additional Funko Pop God of War figures. 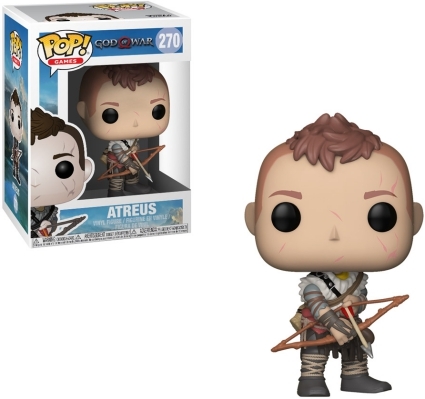 Atreus Funko Pop Vinyl God of war ! Great condition ! PlayStation Official !